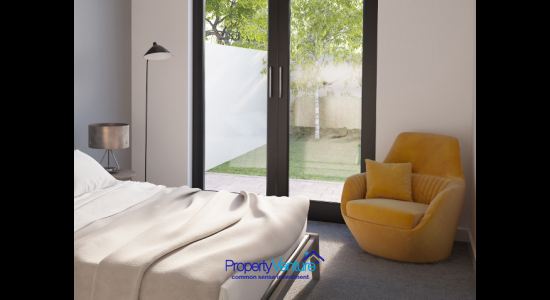 Manchester has a booming micro-economy driving up demand for quality residential accommodation. 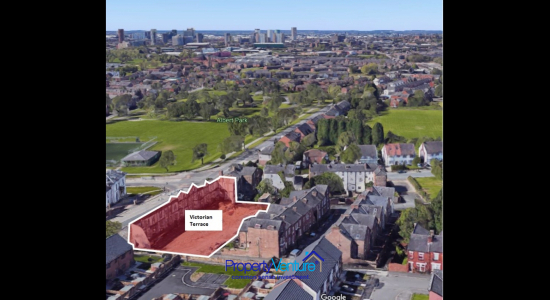 City workers look for choice, living in the city centre, enticed by the jobs, sporting facilities and media and digital businesses, as well as in a more relaxed setting like the location of these Victorian conversion character properties, in Salford. Recently ranked by HSBC as the UK’s number one investment location, the city has 2.73 million people live in Greater Manchester, of which 1.76 million are of working age (16-64). Of these over 500,000 live in the city itself. The population of Greater Manchester grew by 7.2% between mid-2004 and mid-2014, more than double the UK growth rate over the same period. Outside of London, Greater Manchester is the UK’s main centre for Business, Financial & Professional Services, among high profile companies include Co-op Banking Group, RBS and BNY Mellon. The city has one of the largest creative and digital clusters in the UK, employing 63,500 including MediaCityUK (home of the BBC & ITV). Greater Manchester has one of the largest student populations in Europe, who are also the most loyal given 7 in 10 stay after graduation. This is an important driver of local housing demand. Big clubs like Manchester United and Manchester City, drive employment of thousands across multiple companies in their supply chains and related industries. There are also other big name companies such as Adidas and Umbro and national organisations such as British Cycling. This sporting prowess attracts major Middle Eastern investment which has a positive knock-on effect on the local economy. It is therefore no surprise that the Prime Minister wants to broaden the Northern Powerhouse initiative to include and build on the success Manchester has achieved. 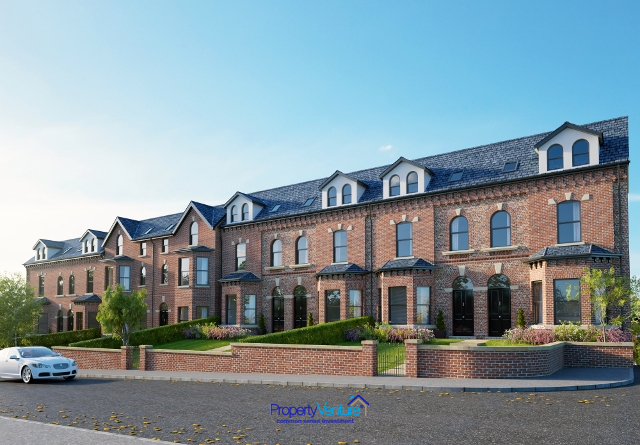 The success of this northwestern city, dubbed the Northern Powerhouse, has sparked a recent trend in investors, especially those from overseas, looking outside Manchester's centre to the neighbouring area of Salford Quays, seeking to replicate the achievements of central Manchester's property market. 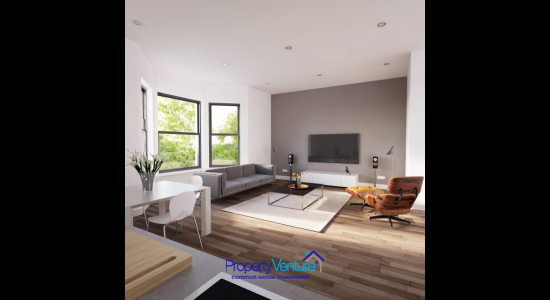 Charming Victorian façade which dates back to the 1890s and is being preserved, but with the modernity of new build living, which is being created behind the original façade. 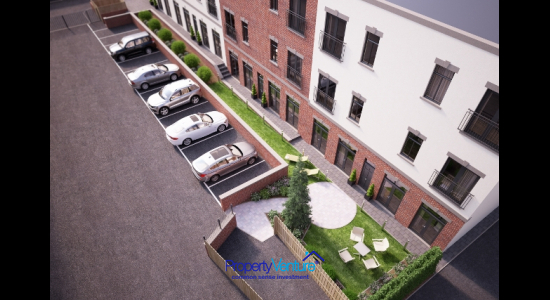 These terraced homes are located in a prominent position near the main connections and excellent transportation links, meaning access to Manchester city centre is a matter of minutes’ away. 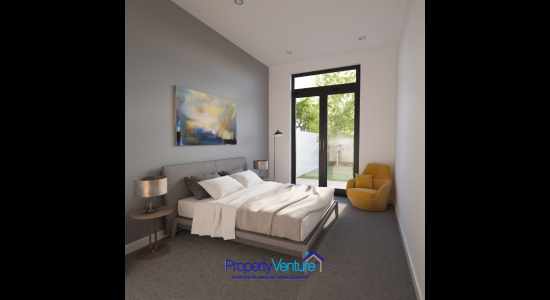 The local area is mainly made up of residential developments and an array of facilities from; retail, supermarkets and restaurants to gyms and Albert Park. There are 28 one and two-bedroom apartments across 4 blocks. 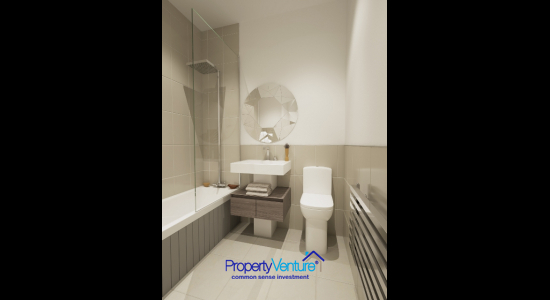 This will be a high quality and attractive development with the charm of the historical architecture, contemporary design and the convenience of living 5 minutes from Manchester city centre.